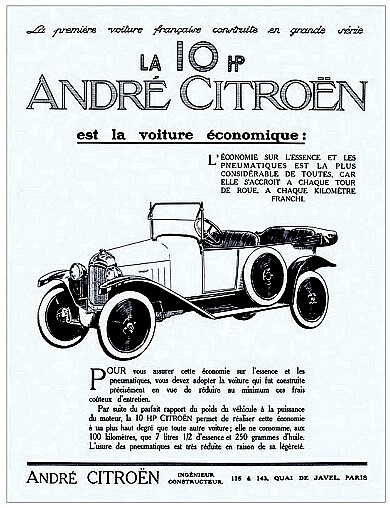 For his first car, André Citroën knows what he wants: a modestly priced car with low maintenance costs. 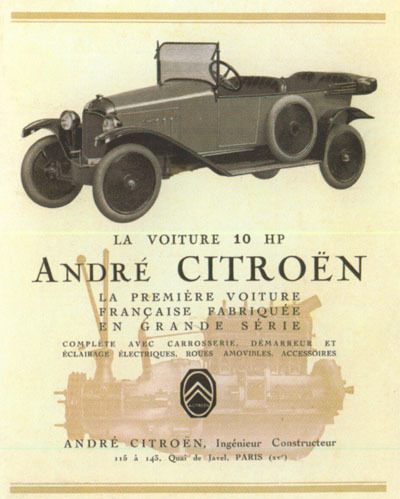 This guiding principle shapes his plans for the Citroën 10 HP Type A up to its release in 1919. The design and manufacturing method of Henry Ford’s Model T serve as inspirations. 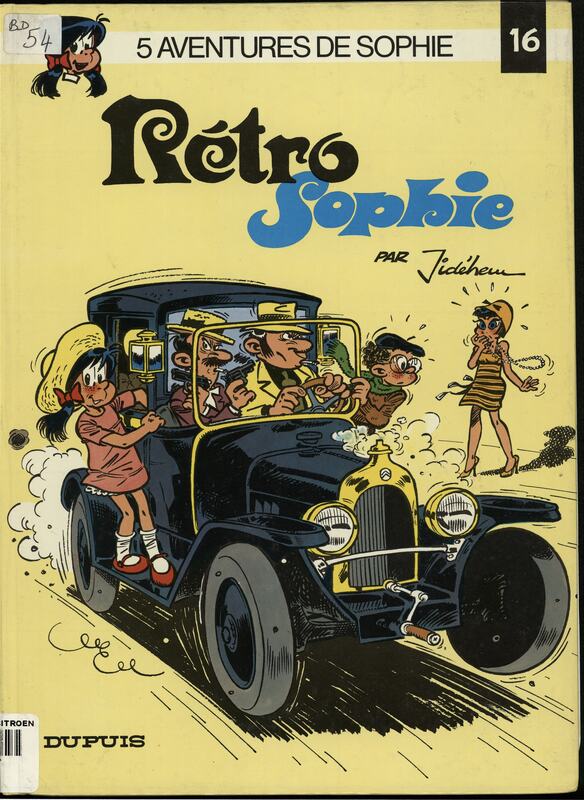 It is the first French car put into mass production; from the very start the 10 HP Type A comes in several models: the Torpédo (most common), the Coupé Docteur, the Coupé de Ville, and the Must: the 4-seat enclosed sedan. It is luxurious for its period, with fabric upholstery, cushions, and spring-loaded seatbacks, cabinetwork doorframes, side window shades, and electric lighting inside. And a spare wheel is stored on the back (unlike the Torpédo). For optimal comfort, the front, removable seats were adjustable lengthwise, and the seatbacks could tilt back. 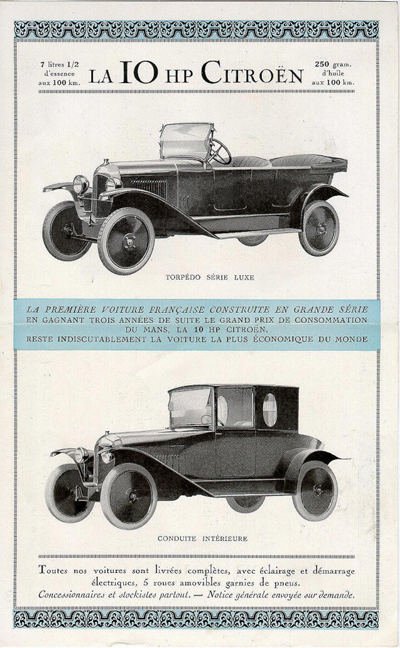 With its success, the Citroën 10 HP Type A then gained more power with the Type B2 in June 1921, followed successively by the Types B10, B12 and B14. The Citroën legacy begins… on the hubcaps!